Sign up for free and just shop with Cellar by Waitrose & Partners as normal. Our average member earns over £300 cashback a year. Cashback is paid on sale amount excluding VAT. 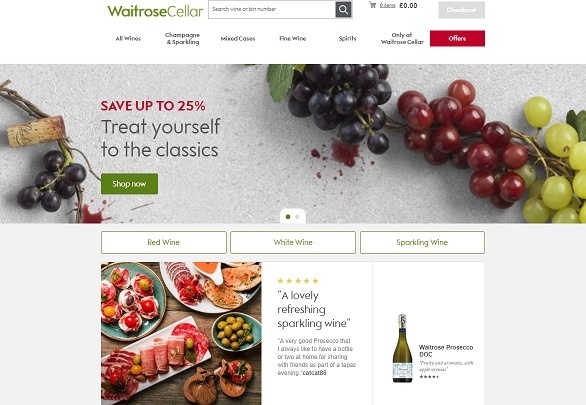 Cellar by Waitrose & Partners cashback can be earned simply by clicking through to the merchant and shopping as normal. Cellar by Waitrose & Partners Cashback is available through TopCashback on genuine, tracked transactions completed immediately and wholly online. Any sales made on Waitrose Garden will not be tracked or paid out through Waitrose Cellar. No matter whether you love red wine, white wine, rosé or fizz, Waitrose & Partners Cellar offer you a huge selection to choose from. Search for Champagne, sparkling wine, vintage port, sherry and Madeira, as well as fine wines, dessert wines and more. You can narrow your results by country as you will discover quality varieties from New Zealand, France, Italy, Australia and South Africa, amongst other producers. You can also browse for wine by regions, such as Bordeaux, Rioja, Marlborough and Chablis, as well as variety if you are partial to a cabernet sauvignon, shiraz, pinot noir, sauvignon blanc or chardonnay. If you are in need of some inspiration or advice, meanwhile, you will find tips on topics such as food and wine matching. If you love your glass to have some bubbles in it, why not treat yourself to one of their selection of Champagnes or a bottle of prosecco? Try some English sparkling wine, rosé Champagne or cava, while if you really want to indulge yourself, they also sell magnums of Champagne. View luxury brands such as Bollinger, Laurent-Perrier, Veuve Clicquot and Tattinger, while you are sure to find some amazing fizz deals. If you are partial to fine wine, you will be spoilt for choice, while if you drink spirits, Waitrose & Partners Cellar stock single malt whisky, gin, vodka, brandy and more, including gift ideas, all of which you will be able to save on if you sign up to TopCashback using the form further down this page. The John Lewis Partnership acquired Findlater Mackie Todd in 1993 as it branched into the wine merchant world. Findlater's mail order business gave a wider audience the chance to savour the range of wines collected by the Partnership's expert buying team. The son of a Scottish farmer, Alexander Findlater travelled to Dublin in 1822 to try his luck as a wine merchant. His business flourished and he moved to London in 1850, and began trading under the name Findlater Mackie Todd. In 1863, the company moved to premises under the railway viaduct facing London Bridge - a location which became known as Findlater's Corner. Alexander Findlater died in 1873 and his partners bought up his various enterprises. 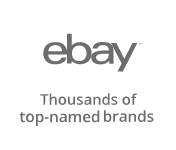 The largest was the London firm, which was acquired by Bruce Beveridge Todd. His three sons followed him into the business, with James taking over on his father's death in 1893. Alexander Todd's son, Bruce, joined the firm in 1927 and became the chairman when his uncle died in 1956. When he retired in 1972, a grandson of James Todd, Ronald Todd-Young, and two grandsons of Alexander Todd, Charles and David Byass, were appointed directors in 1961. By the 1960s, the company had almost 50 shops in London and the south of England, but a reversal in the family's fortunes saw the Todds sell the company to Bulmers in 1967. Three years later, they sold Findlater's to the Beecham Group, while following the acquisition by the John Lewis Partnership in 1993, Findlater's gave rise to the launch of Waitrose & Partners Direct, the forerunner of Waitrose & Partners Cellar. Since being launched in 2015, Waitrose & Partners Cellar has delivered more than 3.4 million bottles of wine. As all of their wines and spirits can be ordered individually or in multiples, there is no limit to the amount you can order, meaning it is simple to create a bespoke case of wine for yourself. When you have found a wine you want to add to your case, just select the quantity and click the Add button. Alternatively, you can let Waitrose & Partners Cellar do all of the hard work for you as they have a superb selection of wine cases available. Take you pick from red or white cases, while if you love both, their mixed cases will give you the best of both. You are sure to find some great offers too on some of their favourite and best selling wines, hand-selected by their Master of Wine. As well as being able to buy a bottle or two, you can also enjoy a Waitrose & Partners tasting experience, guided by their experts, in the comfort of your own home. All of the tastings include wine glasses, tasting notes and a charcuterie/cheese board. There are three deals you can choose from, with the Explorer and Premium packages ideal for a party of 6-10 guests and the Bespoke option suitable for any number. With the Explorer (£35 per person), you will get six unique wines from around the world, two hours with an in-home expert, glasses you can keep, palate cleansers and a charcuterie/cheese board. The Premium package is the same, other than the fact that the six wines will be exclusive ones from their award-winning Waitrose & Partners Cellar. The Bespoke option offers a customised selection of fine food and wines just for you, and they can cater for larger parties, while the fact their specialists come to you means you can relax and enjoy your evening. You’ll find your perfect wine at Cellar by Waitrose & Partners. 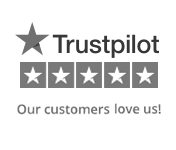 There’s no minimum order and whether you want just one bottle or several, we’ll deliver your wines to your door. There are lots of delivery options and you can choose next or named-day delivery or simply Click and Collect from more than 300 Waitrose stores. Choosing the right wine for you has never been easier. For lots of wonderful wines and great offers shop with Cellar by Waitrose & Partners today.